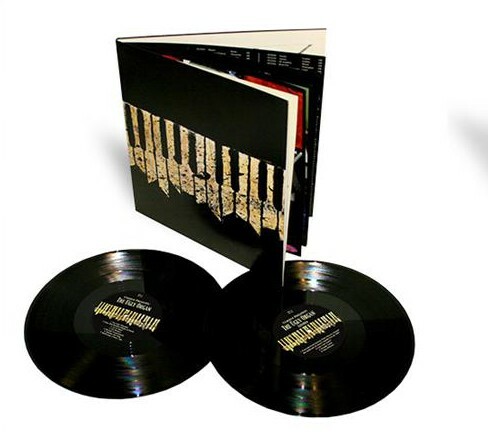 Cursive – The Ugly Organ (Deluxe Edition) is out now.The album is available, 2xLP 180-gram vinyl, and digitally, with eight additional tracks on the accompanying disc. These tracks – written during the same sessions as and originally intended for The Ugly Organ – were previously found across the band’s 2002 split with Eastern Youth 8 Teeth To Eat You, their ‘Art Is Hard’ and ‘The Recluse’ singles, and the Saddle Creek 50 compilation. The packaging for both the 2xCD and 2xLP includes a booklet with extensive liner notes comprised of rare photos, original artwork drafts, handwritten lyrics, a list of all tour dates from the era, and an introduction written by Kyle Ryan of The AV Club. To get yourself properly excited for the album, go read Noisey’s extensive history of The Ugly Organ, Alternative Press’ interview with Tim Kasher, look back through the band’s Reddit AMA, or check out the glowing review Consequence of Sound gave the reissue.